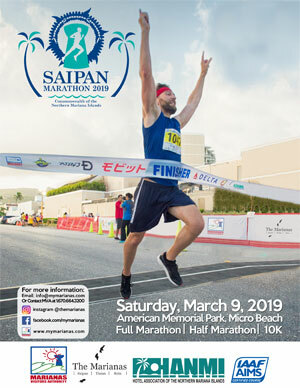 Saipan, Northern Mariana Islands (NMI) – Marking 30 years of existence, the Tagaman triathlon is slated for March 30, 2019, on the island of Saipan in The Marianas. 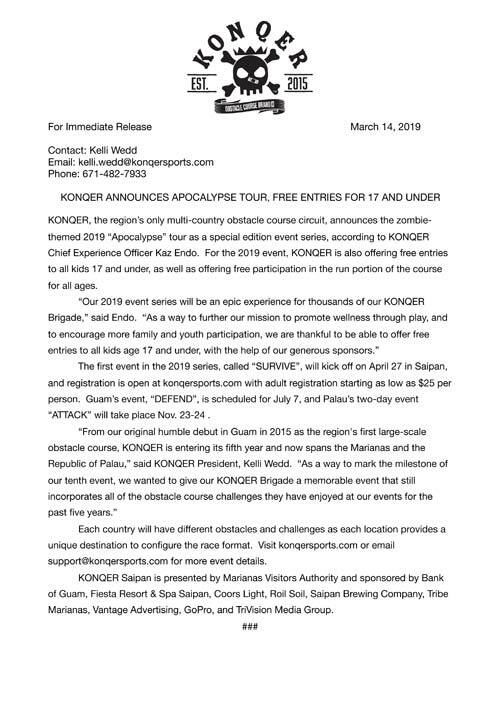 The Tour of Guam is Guam’s most prestigious competitive cycling event. The Guam Ko'ko' Road Race is Guam's elite half- marathon, 10K and 5K, named after Guam's territorial bird, the Guam rail or Ko'ko'. The Guam Ko'ko' Kids Fun Run is a fun-filled family event featuring a 0.6K, 1.6K and 3.3K Fun-Run for children ages 4-12 years old. A friendship tournament that features a competitive pool of athletes from Tokyo’s Junko University in Japan against Guam’s finest Major League teams.